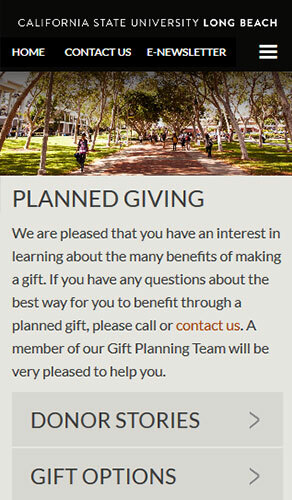 A strong online presence plays a crucial role in the success of your planned gifts marketing. 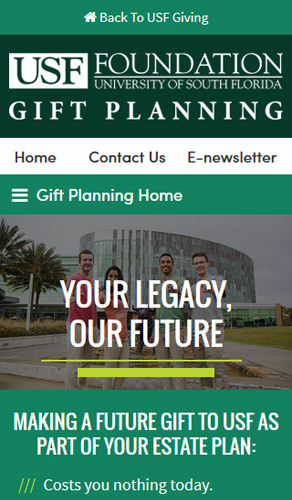 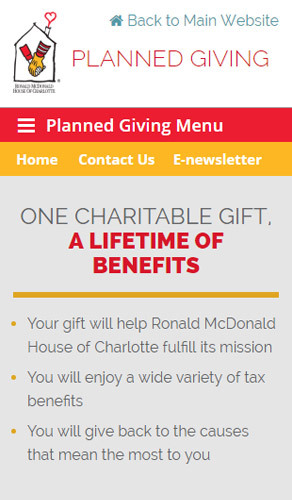 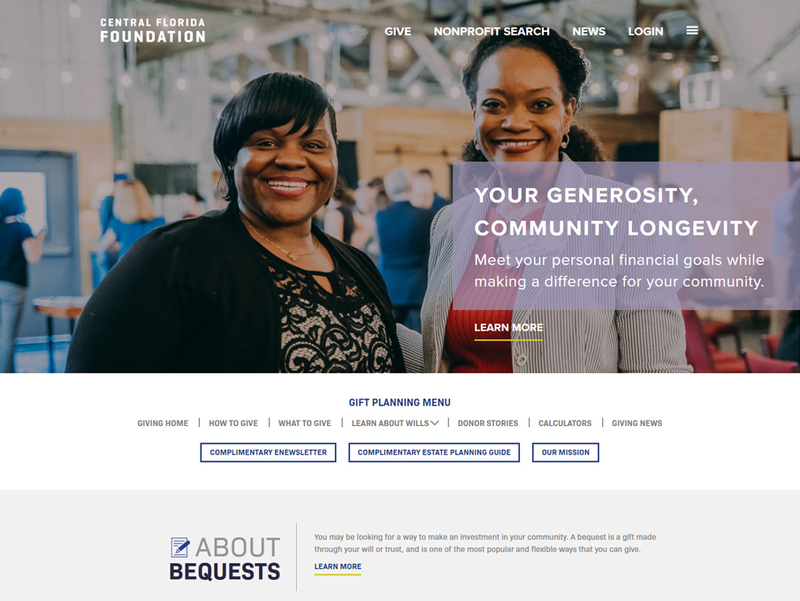 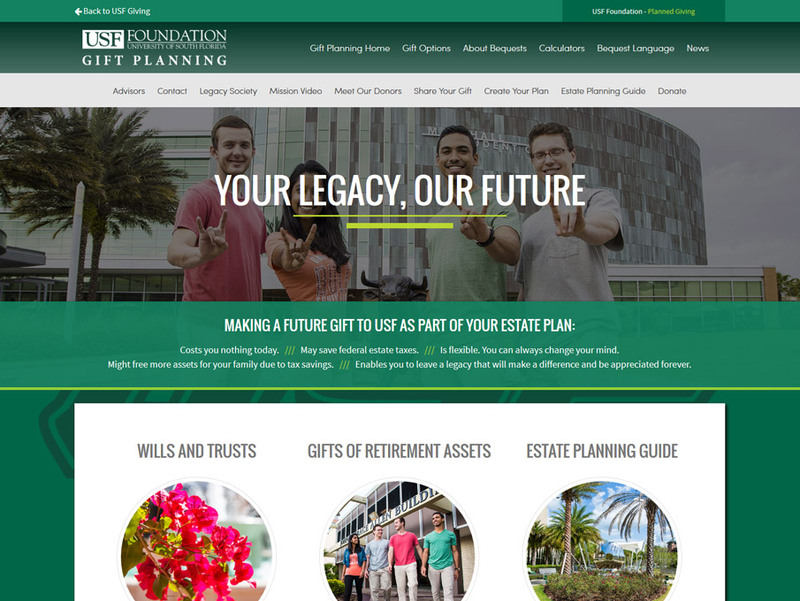 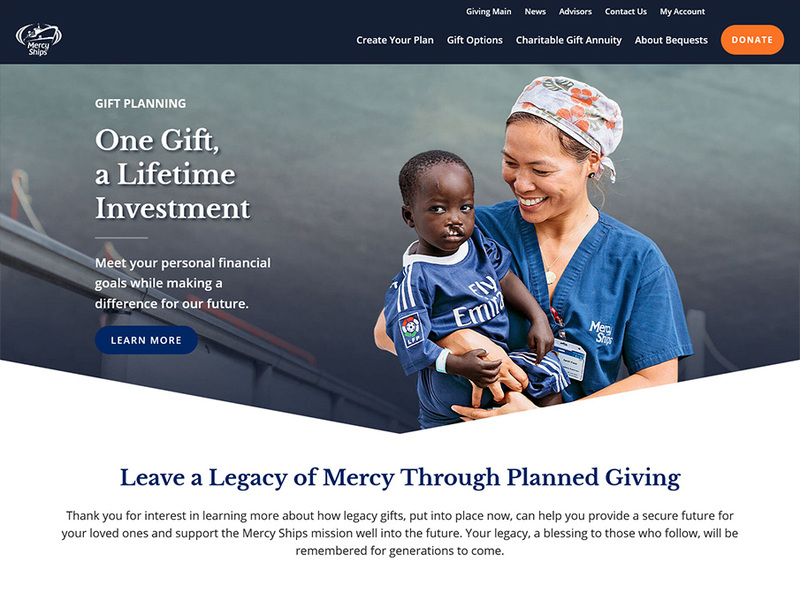 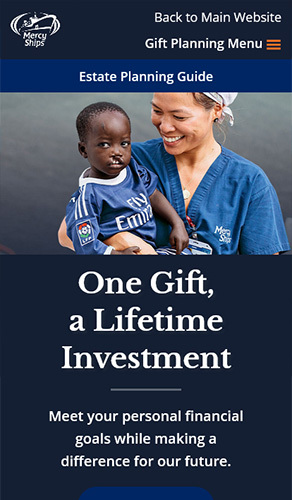 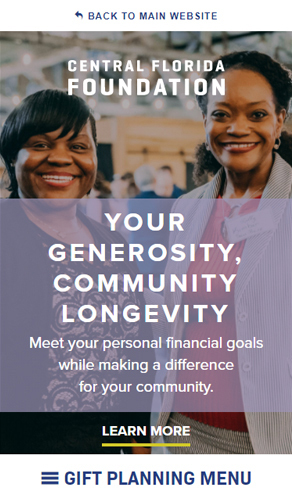 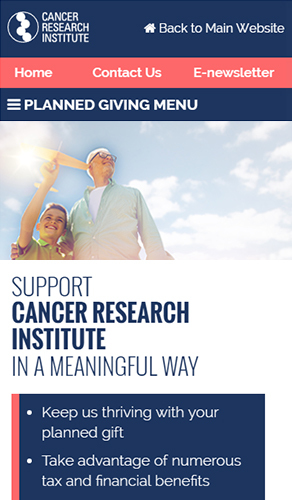 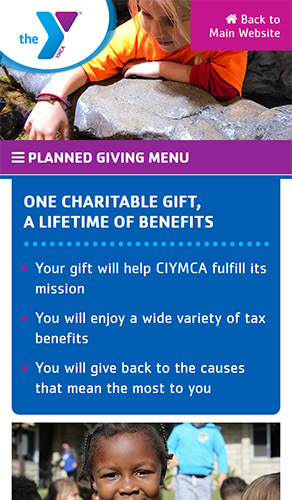 Our GiftLegacy website includes your organization's branding and features motivating donor stories, regularly updated articles, an online wills planner, personal gift illustrations, advisor information and more. 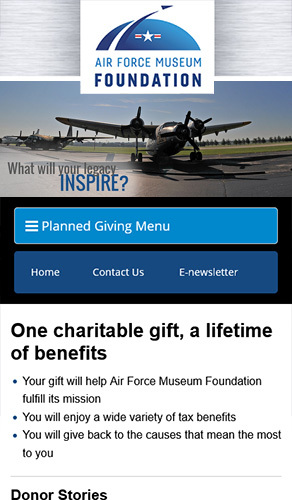 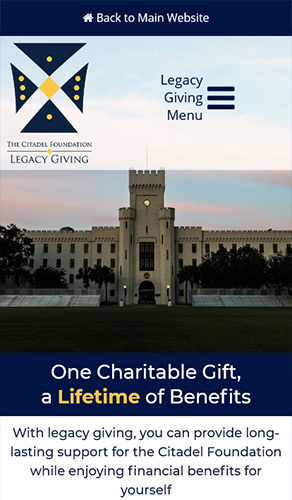 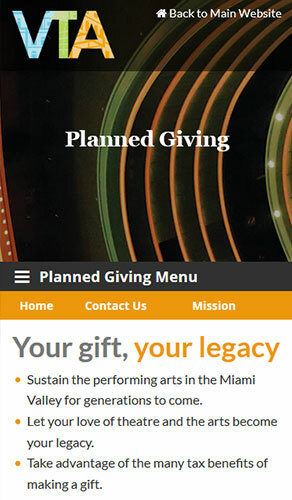 Your GiftLegacy website is mobile-friendly so that you can reach more donors using mobile phones and tablets along with desktop computers. 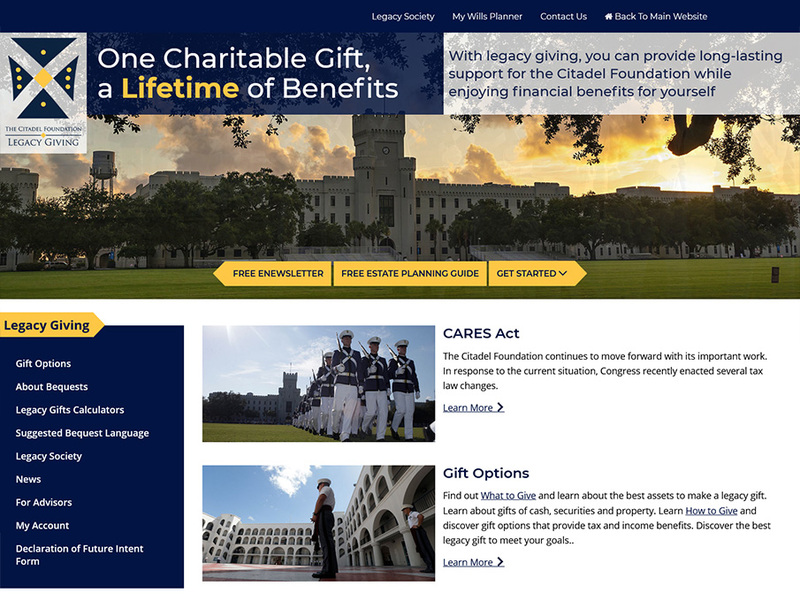 The examples below showcase some of the many websites we have developed for different organizations. 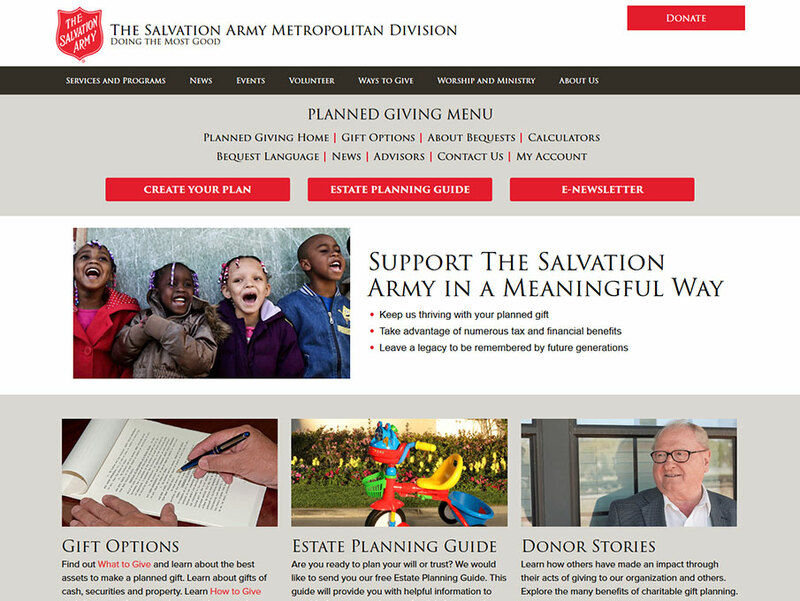 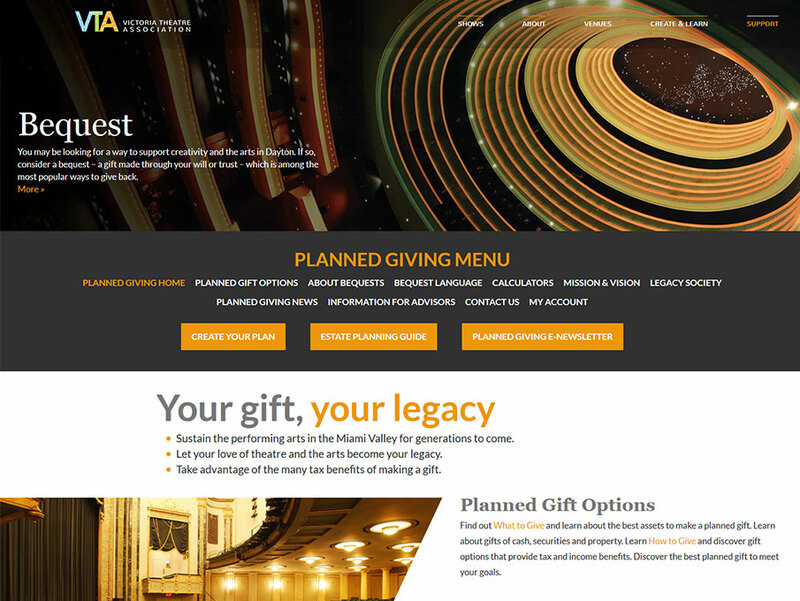 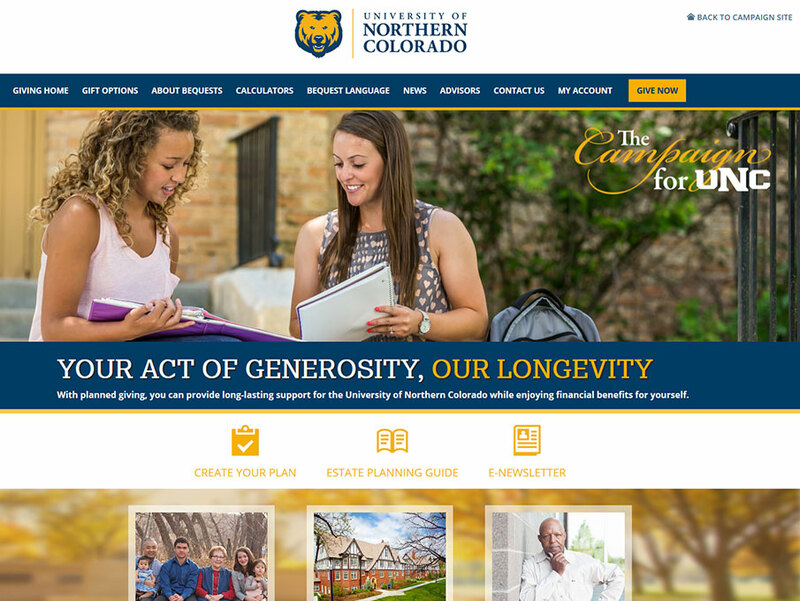 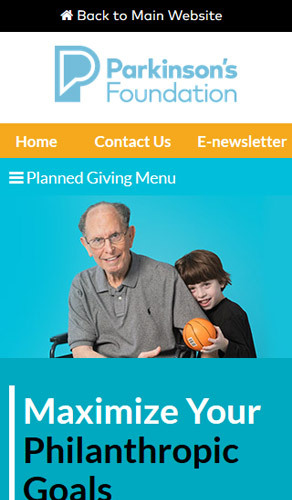 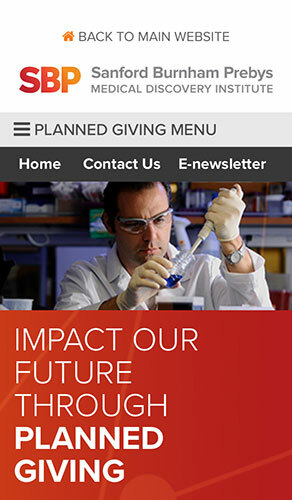 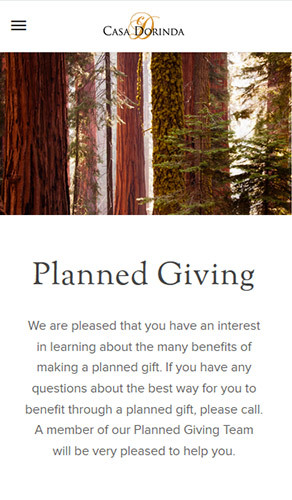 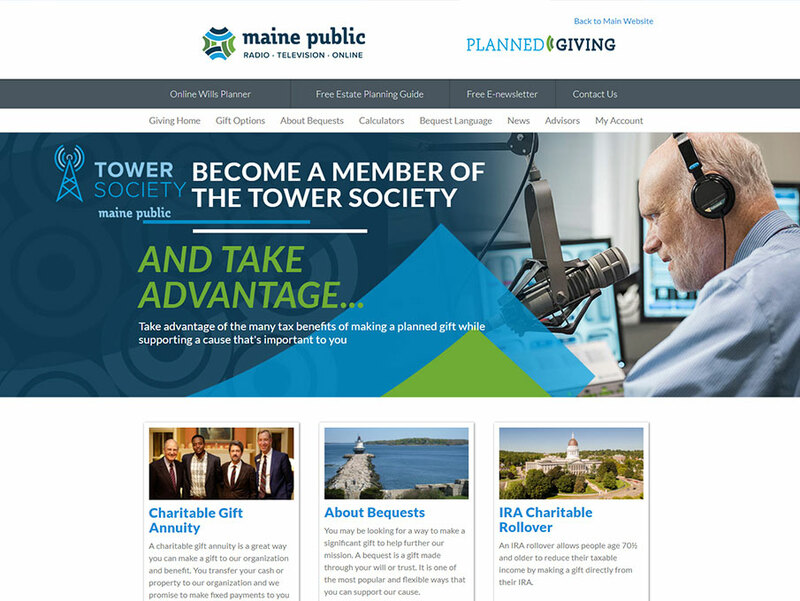 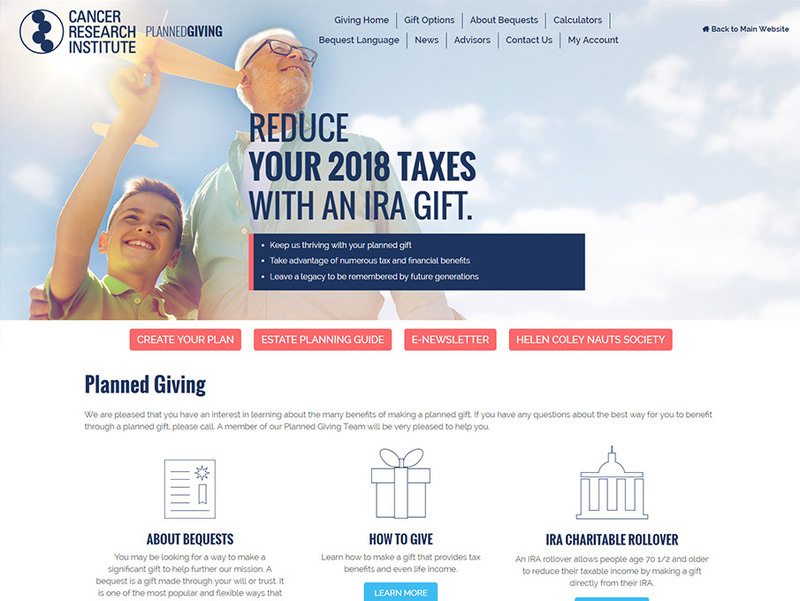 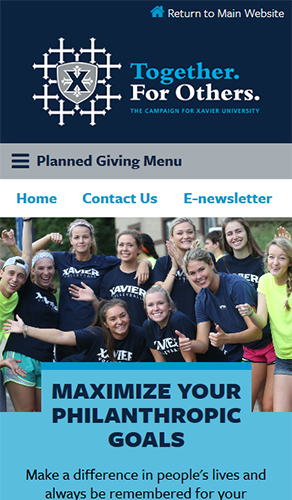 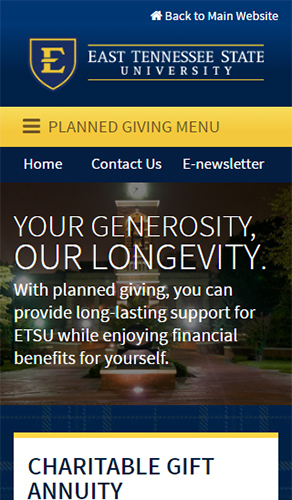 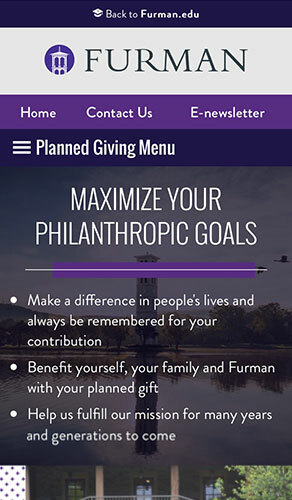 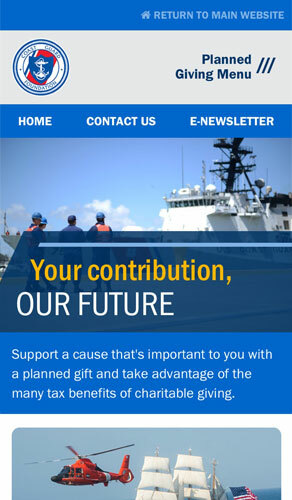 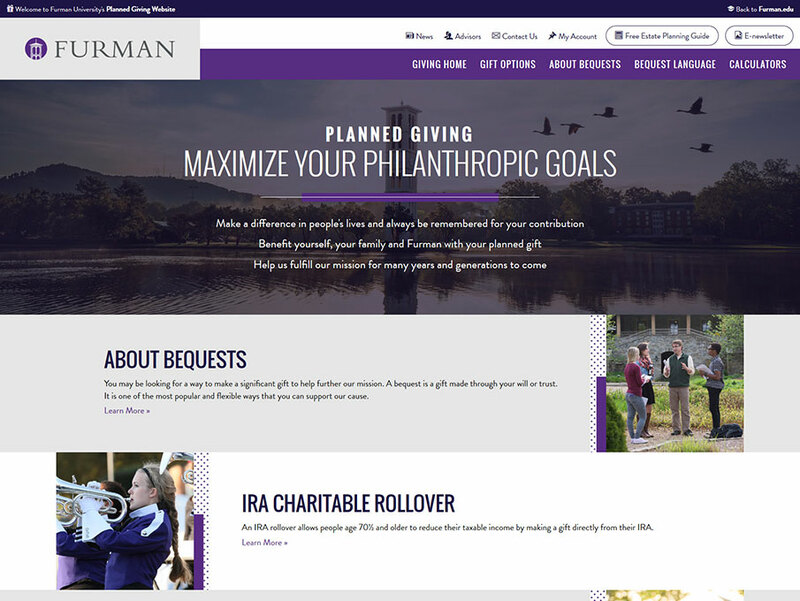 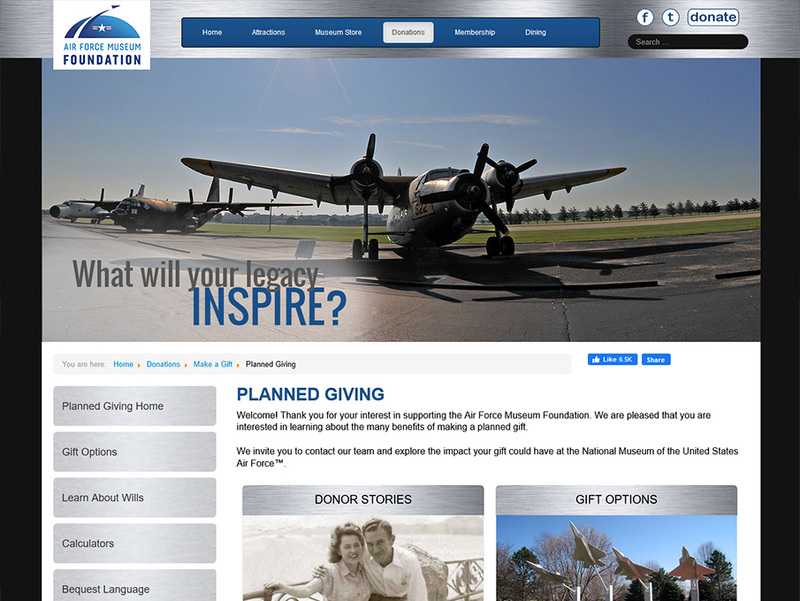 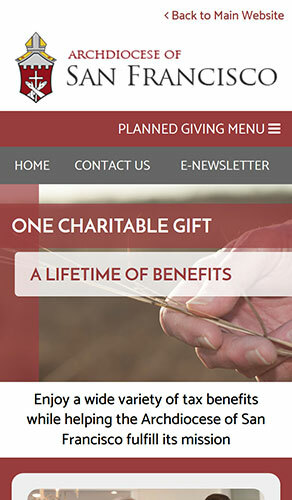 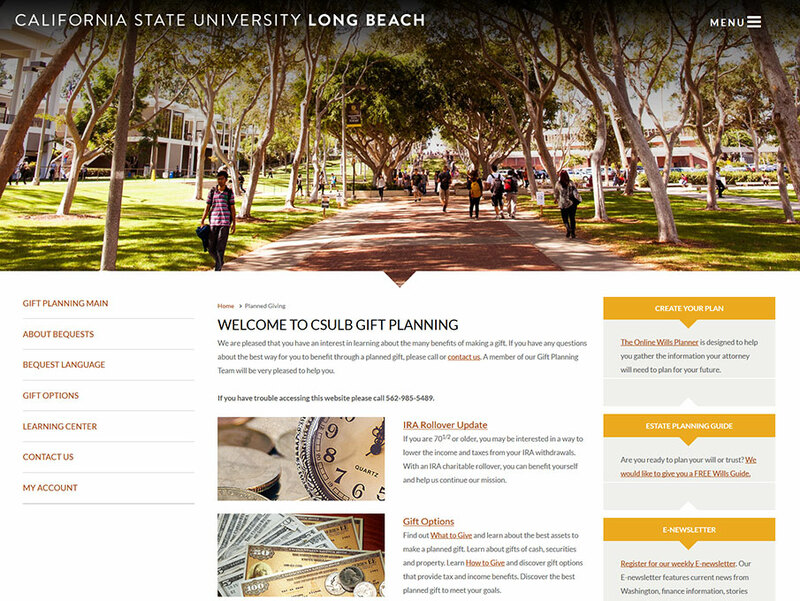 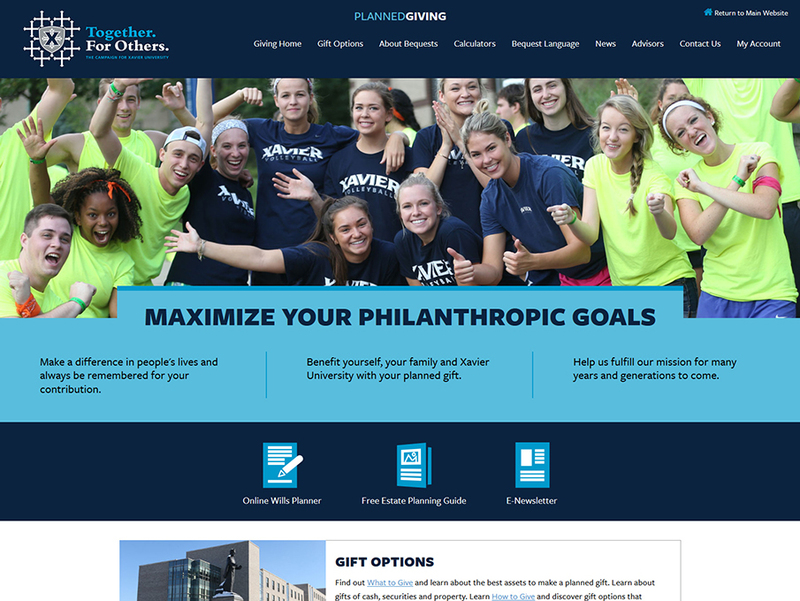 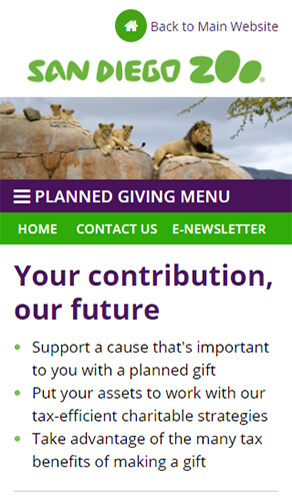 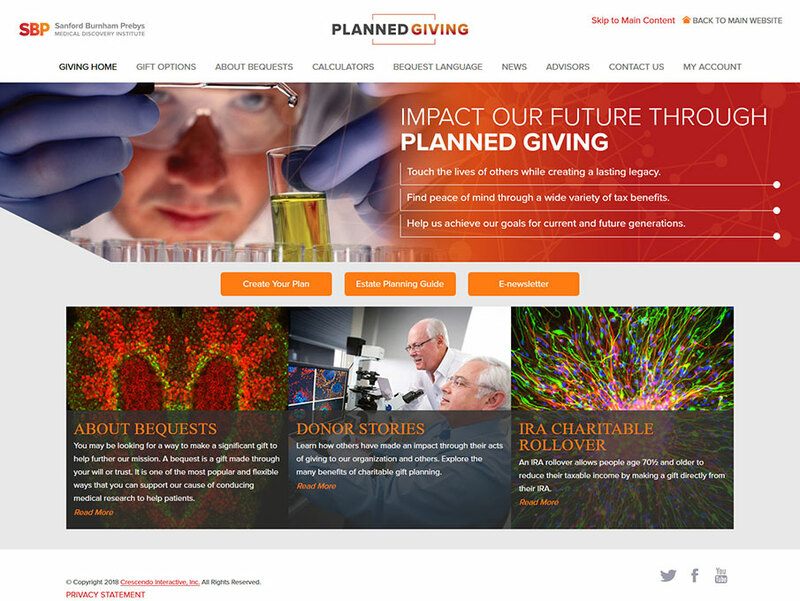 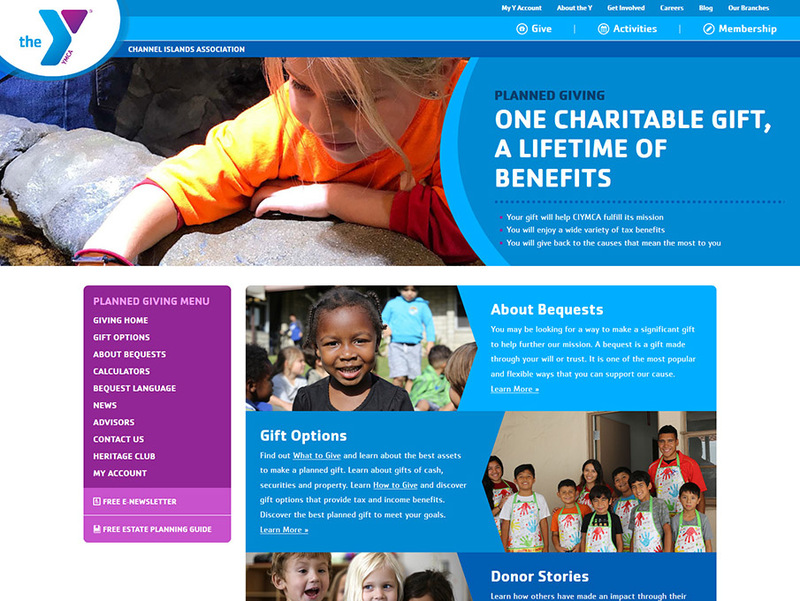 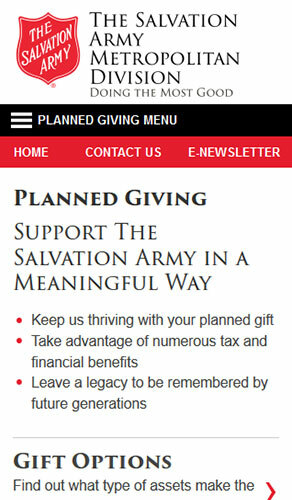 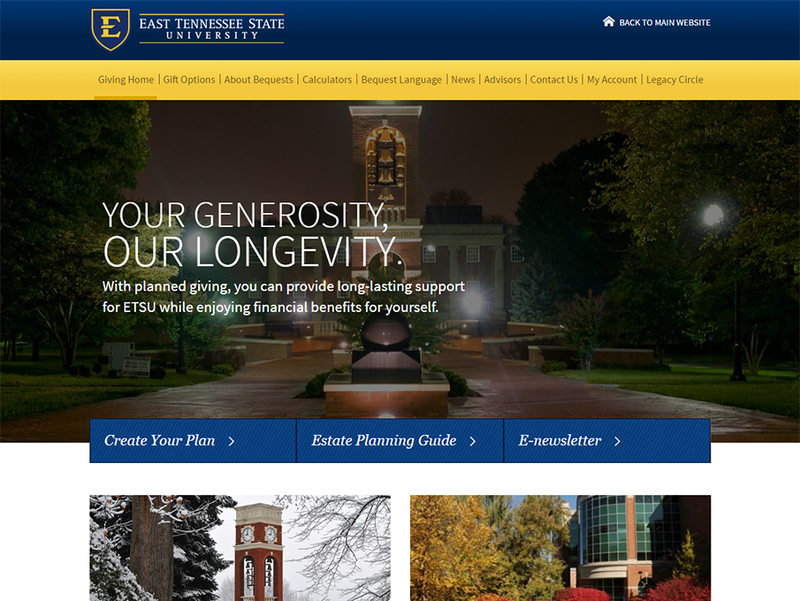 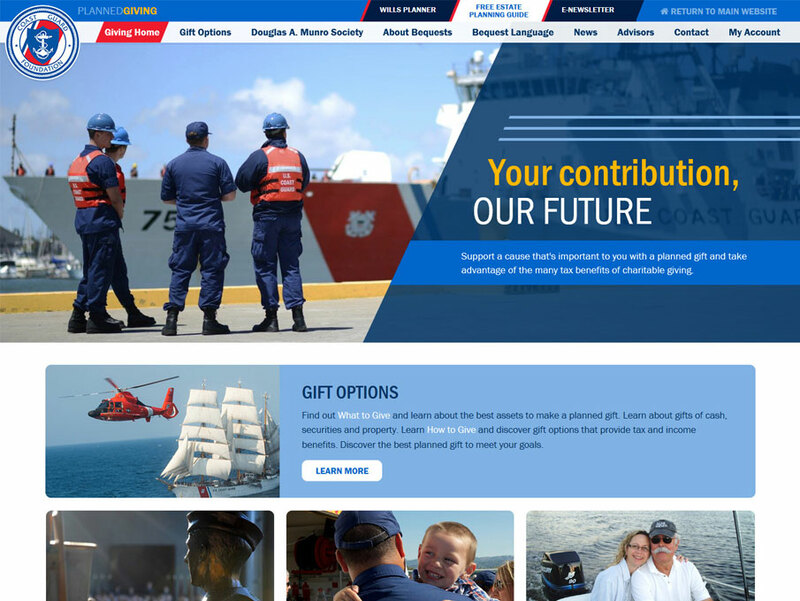 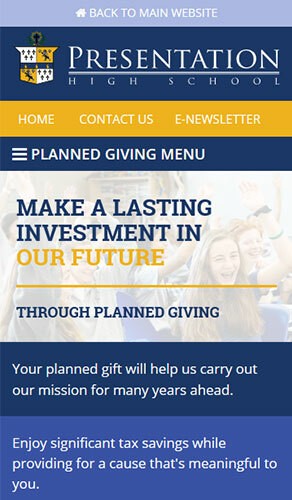 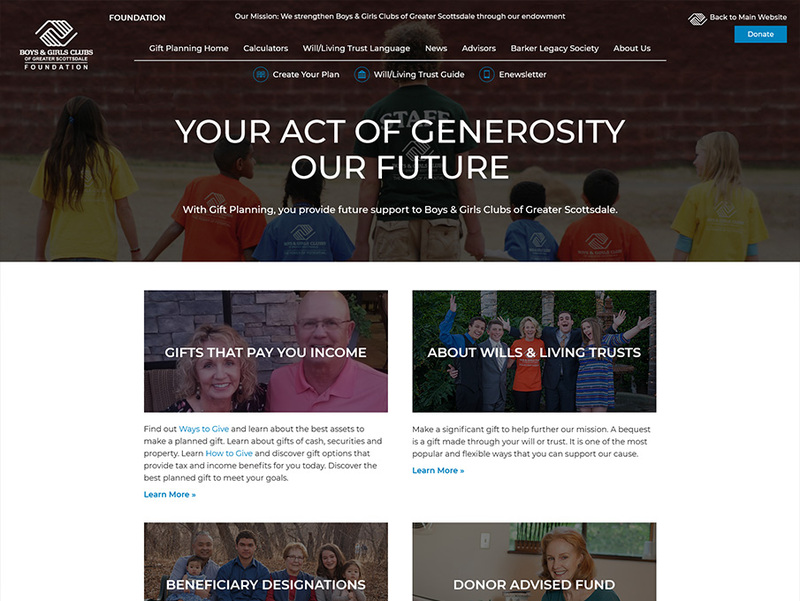 We create a custom planned giving website for every client. 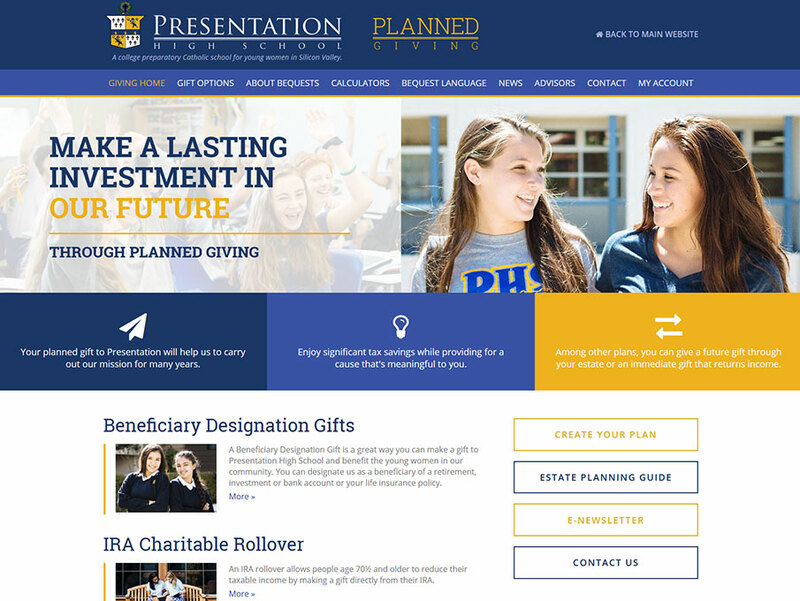 From the initial design comps to the final delivery, our marketing and technology teams work closely with your organization during the development process. 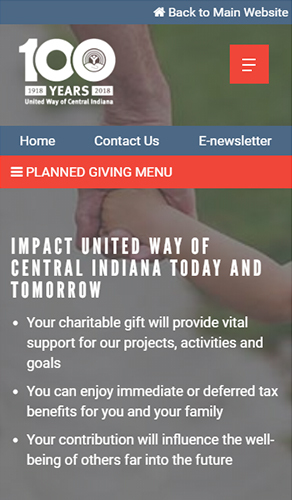 You can select from a wide variety of design and content options with rotating content for your visitors. 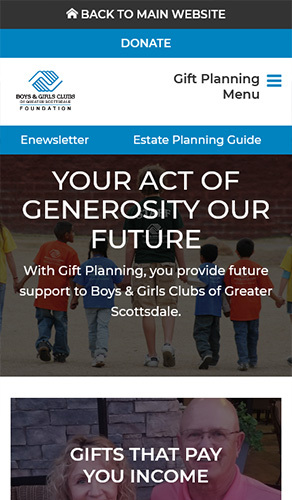 The donor-friendly content on our websites is professionally written by our marketing and legal teams. 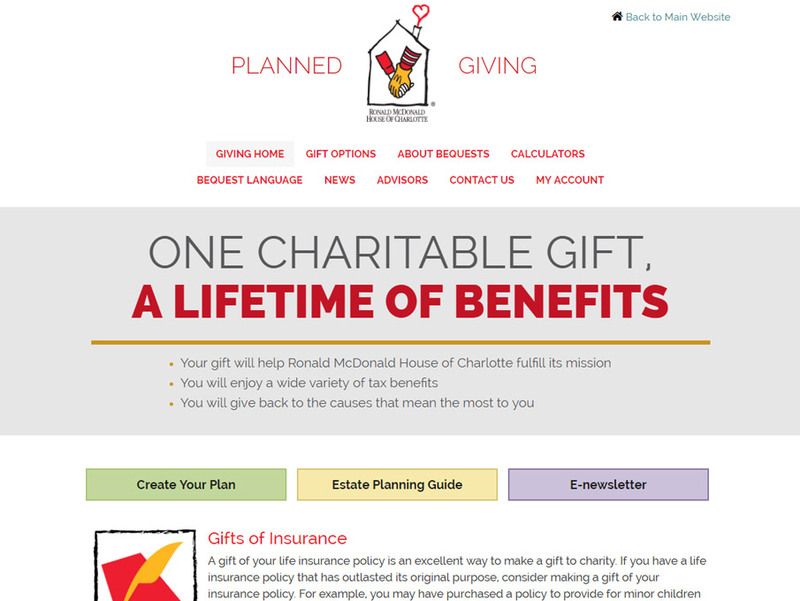 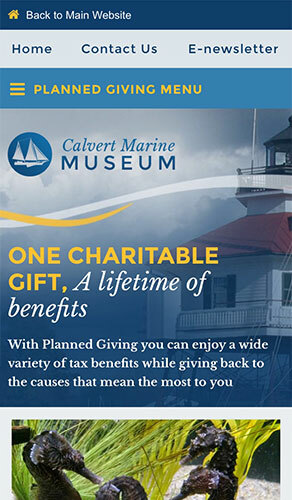 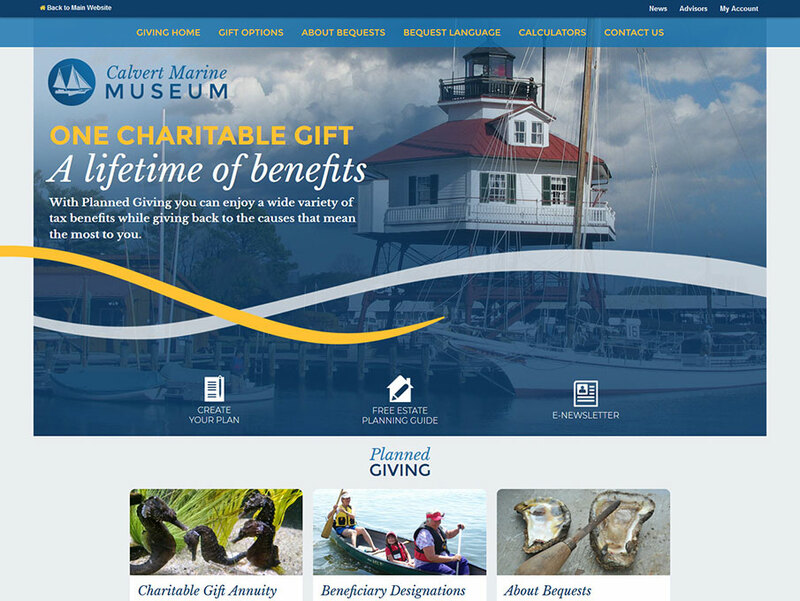 Our websites explore the benefits of planned gifts in clear and engaging terms. 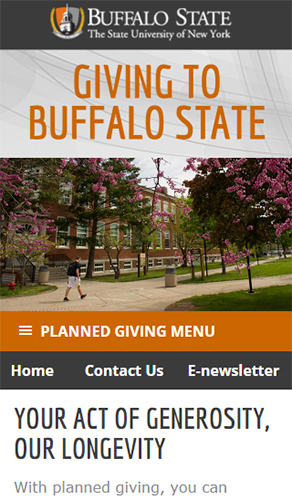 We provide content optimized for web reading that is easy to understand. 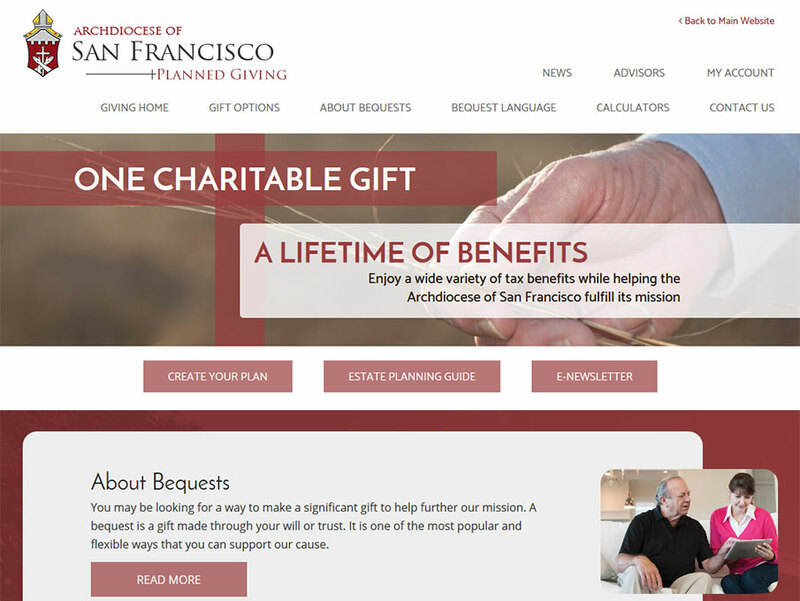 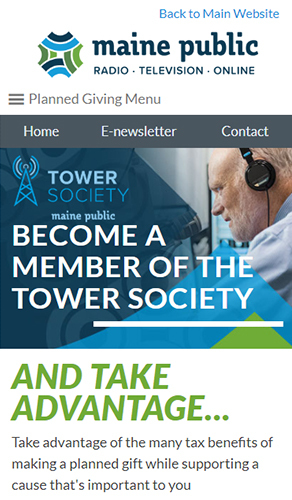 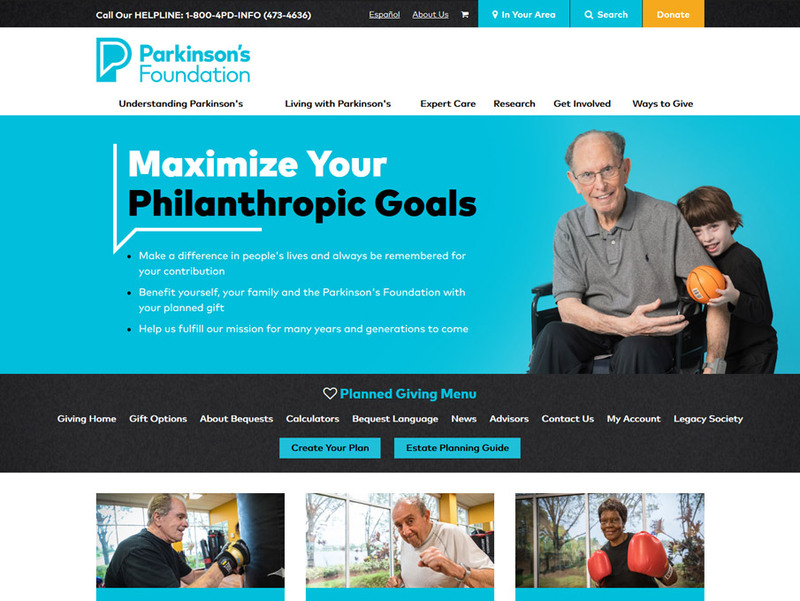 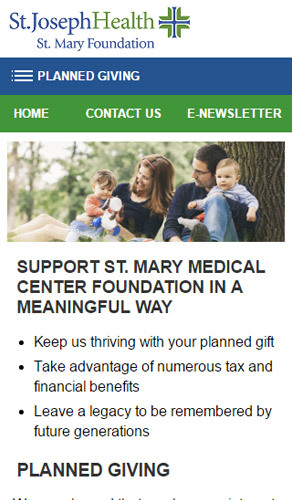 Our websites include meaningful images and/or videos to support our planned giving content across different pages. 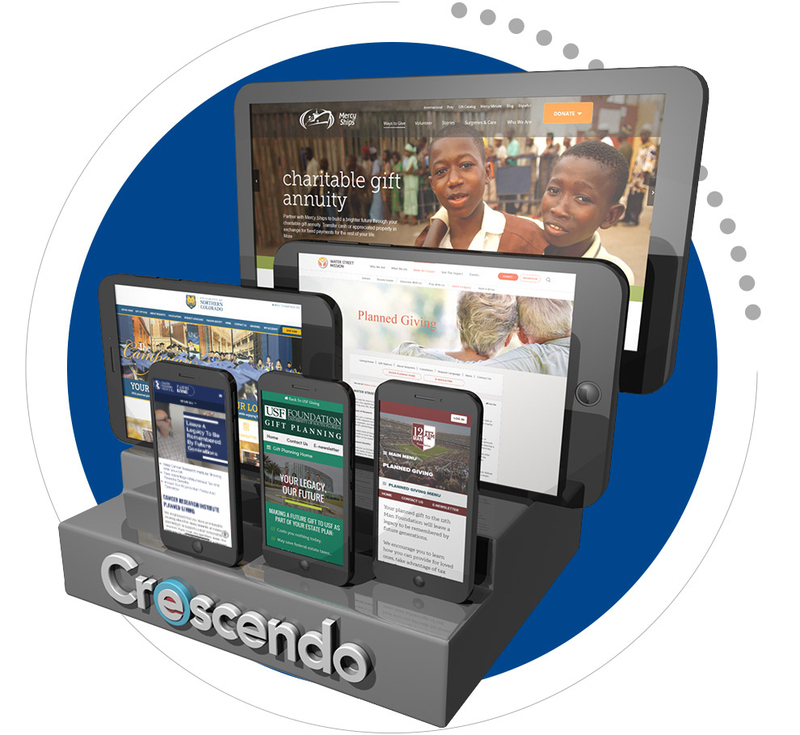 We test our websites on a variety of desktop browsers and mobile devices, so that they display and function properly across different viewing environments. 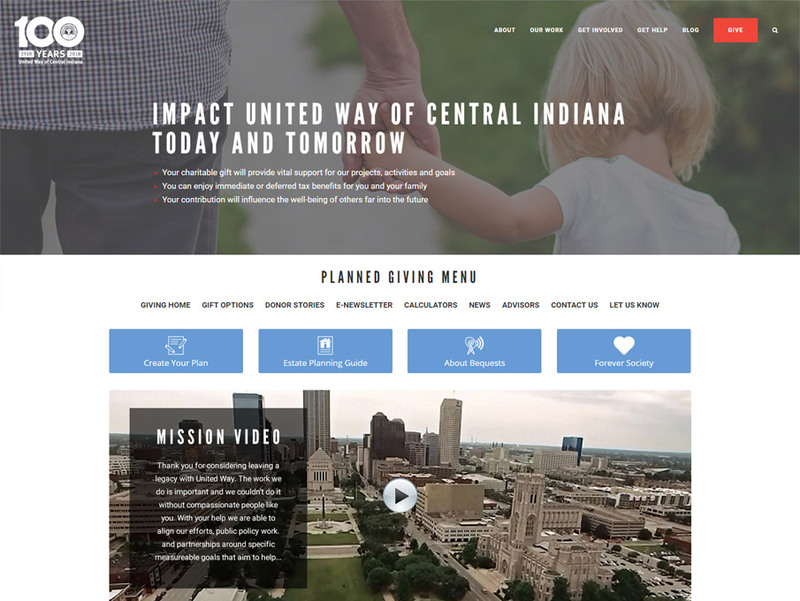 Whether your organization prefers a simpler and cleaner design, or a bolder and multilayered look, our design team will make your website look attractive while maintaining good usability standards. 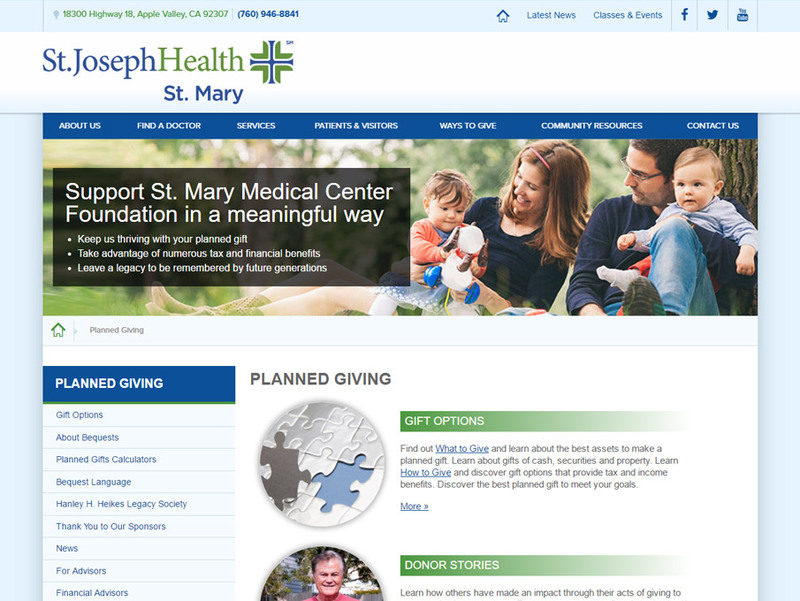 We review the analytics for our websites on an ongoing basis. 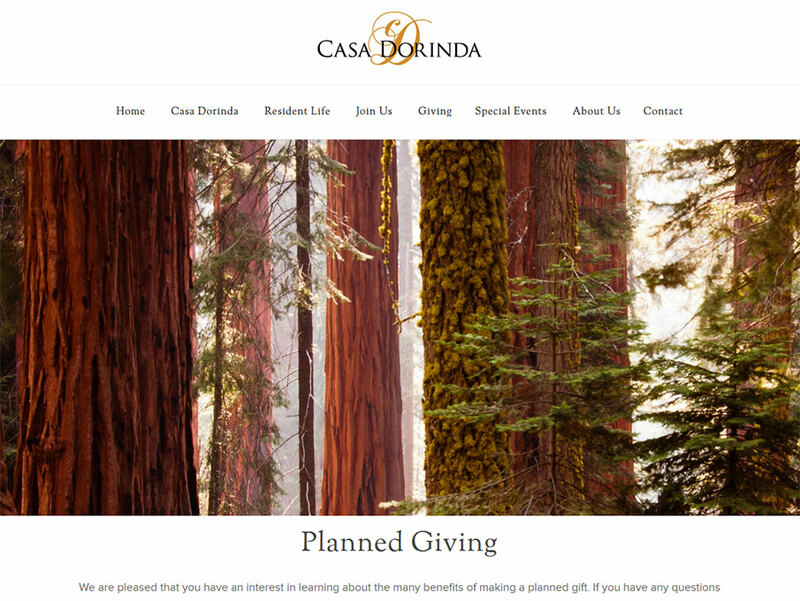 This allows us to make adjustments to content and design that increase site performance and user engagement.